Every home cook has their cookbooks: the ones front and center on their shelf, the ones they turn to advice, for courage, for inspiration. Leave your 10 essential cookbooks in the comments section of this post (we know, it’s hard), and help us create The FOOD52 Cookbook Library. 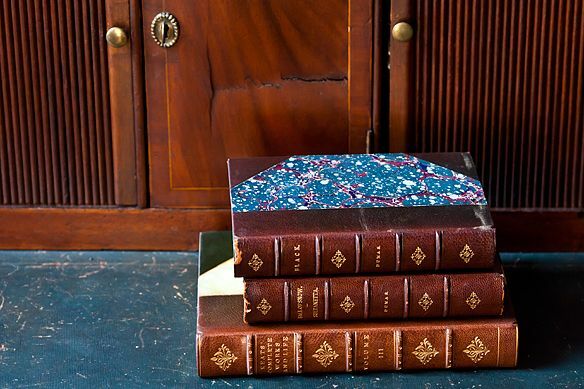 We’ll choose the top 10 cookbooks from all of your answers, and Jane Mount from Ideal Bookshelf will do an original painting and printing of their bindings (see below for an example). When the top 10 are announced the week of June 25, Jane’s print will be offered in the FOOD52 Shop for only $19 (that’s 32% savings exclusively for FOOD52). There will also be a special offer for FOOD52 community members to order their own custom painting! Just like we crowd-sourced our cookbooks and our iPad app, we’re crowd-sourcing our list of favorite cookbooks, and creating a piece of art along with it. And the best part? 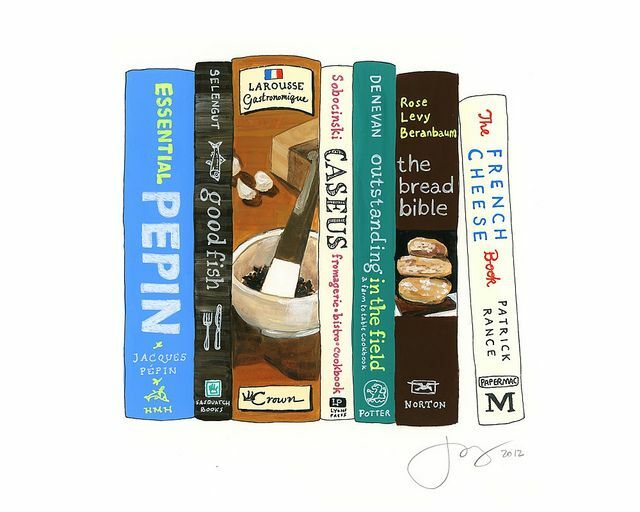 One lucky commenter who submits their top 10 will win Jane’s original painting of The Food52 Essential Cookbooks (a $345 value). Now, tell us! What are your 10 essential cookbooks? The Handmade Loaf, Dan Lepard. If the two Joy of Cooking editions could count as one book I'd add The Perfect Scoop. In addition to receiving the original painting, it would be neat for the winner to receive a set of the 10 essential cookbooks to gift to a friend just learning how to cook. First I had to think... do I use 10 different ones? But I love the print (the painting even better) so thought I would give it a try. 2. Mark Bittman's Kitchen Express, my current "go to". I probably should get his new "Basics"! Most of my old favorite cookbooks have remained untouched since I use Food 52 and recipes from Mark Bittman from NYT. Meant "Italian" not "Indian" for Hazan, of course.